If you are a big of the American football, the chances are that you have come across Landon Collins who currently plays for the New York Giants in the National Football League (NFL). Famed for his No. 21 jersey, Collins defends his team on the safety line. He has been safeguarding the position for the Giants since 2015 when he was selected by the team in the NFL Draft. Before committing to his current team, the footballer played with his high school team until the time of his graduation. His stint as an All-American defensive back for Dutchtown High School, Geismar, was very productive as he holds several impressive football recordings in the institution. As many would agree, Landon’s football career improves with each passing season. His on-field skills and general performances are something his fans are forever grateful to behold and we are pretty sure he has no plans of disappointing them now or in the future. The New York Giant safety was named Landon Alexander Collins after his birth in New Orleans, Louisana, on January 10, 1994. He holds an American nationality and belongs to African-American ancestry. He was raised in the Algiers neighborhood but later relocated to Geismar, in Ascension Parish with his family after Algiers was hit by Hurricane Katrina in 2005. He owes his high school education to Dutchtown High School, where he featured in the school’s track and football activities. Collins was an All-American defensive back in football at the time. Upon graduation, he proceeded to the University of Alabama, where he featured for the Alabama Crimson Tide in many games. Landon would later forgo his senior year after representing Alabama for three seasons to enter the 2015 NFL Draft. He was eventually selected by the New York Giants in the 2nd round as the 33rd overall pick. In 2016, precisely in his second season with the New York Giants, Landon was listed as a member of the 2016 Pro Bowl, after which he was named to the Pro Bowl for the 2nd year in a row the following year. His contract with the football team worths $6,120,557 while his average salary is reported to be $1,530,139. Landon Collins was born as the son of April Justin (mother) and Thomas Collins (father). Thomas currently works at the Coastal Bridge Construction Company, situated in Baton Rouge, Louisiana, as a station director while April resides in Florida. The American safety has two siblings – a brother called Gerald Willis and a sister named Gerrah Willis, who came from his mother’s marital relationship with a man called Gerald Willis. Like his brother Collins, Gerald is a football player as well. He currently plays for the University of Miami, having previously played for the University of Florida. While his stint with the University of Florida lasted, Landon’s brother got into a lot of trouble and was eventually discharged for several wrong behaviors which included engaging in a physical fight with teammates. The 1.93 meters footballer, who was born on August 23, 1995, is a defensive lineman for Miami Hurricanes football. April Justin’s relationship with his eldest son has remained strained to this day simply because Collins decided to play for Alabama University instead of Louisiana State University, which he insists is a better team than Alabama. Collin’s mother would have missed his drafting in Chicago if not that Gerald convinced her by offering her a free spa session in the city. The NFL star’s decision on live TV at the Under Armour All-American game, to this day, remains a source of tension in his relationship with his mother. 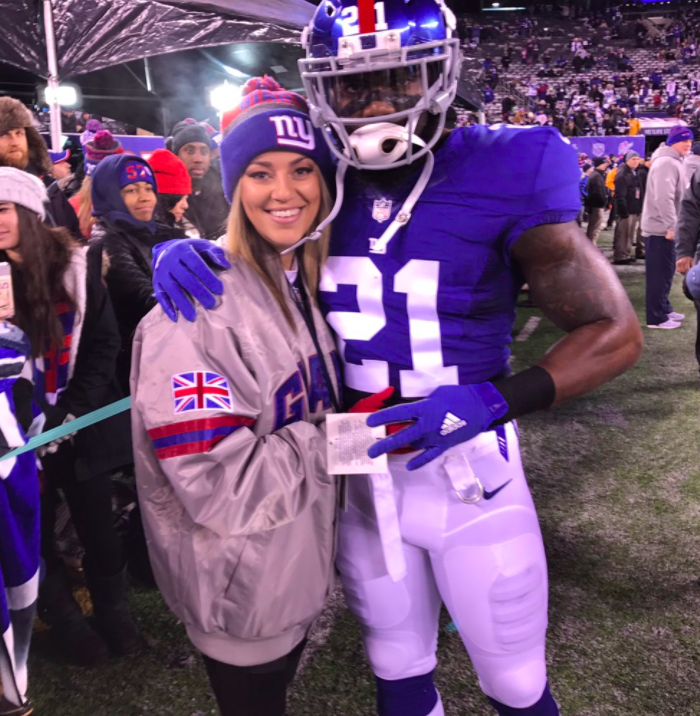 Landon Collins is not married yet but he is in a relationship with his college sweetheart Victoria Lowery, a 2015 graduate of Alabama University. She got engaged to the football player in March 2016. The athlete reportedly has three children who came from his intimate relationship with three different women. One of them is simply identified as Rocsi. Sometime in March 2016, she took to Instagram to expose how Collins abandoned his children and baby mamas, who she claimed gave birth to his babies within the same period of time. The New Orleans celebrated footballer is 6 feet 0 inch tall (equivalent to 1.83 meters) and has a body weight of 102kg or 225lbs to match. Although Collins is not as tall as some of NFL’s giants such as Kyle Scoter, Barkevious Mingo, and Malik McDowell, his height has never affected his career neither has he been found wanting because of his stature.